I love trying out new makeup products so when the lovelies over at Beauty Crowd got in touch and asked if I’d like to try out a new brand that has just launched in the UK exclusively through their website, I jumped at the chance. Bell Cosmetics are a Polish cosmetics company with an amazing 30 years experience in the beauty industry. Their new Hypoallergenic collection was created after years of developing cosmetic products and working in their own research and development office alongside their microbiological department, ensure their products not only look attractive but are of the highest quality too. Bell Cosmetics came to Beauty Crowd after the co-founder of the online store recognised a gap in the market for an affordably priced makeup range for sensitive skin to rival the likes of Clinique and other allergy tested makeup brands. All Bell Cosmetics products are dermatologist approved so you can use them safe in the knowledge that they’re suitable even for the most sensitive of skin. The makeup line has everything that you would need to create a full face of makeup including primer, foundation, BB cream, concealer, pressed powder and colour based products like lip tints, eyeshadows and lip liners. Most of us know that the makeup we wear can affect our skin whether that’s through having a keen interest in makeup or through having an allergy to a specific ingredient that makes us look out for that ingredient when choosing products. 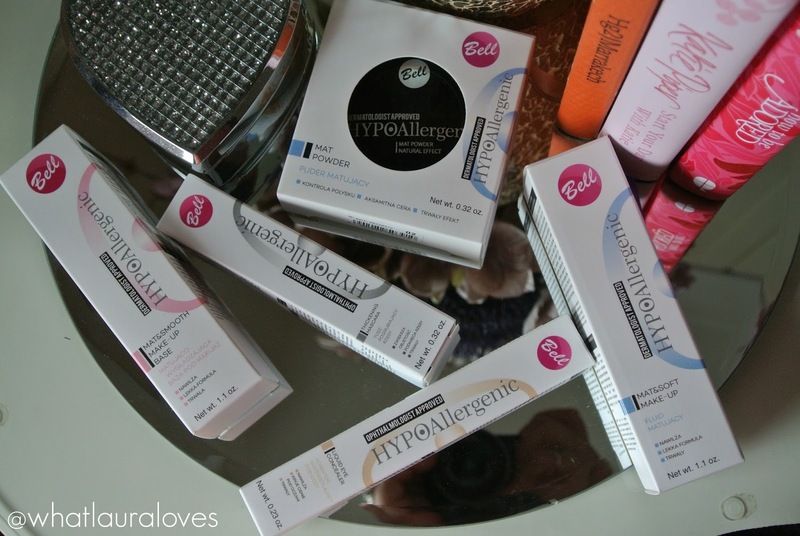 Bell Cosmetics aim to appeal to both types of people as those who love skincare and makeup can shop guilt-free knowing that the products they buy aren’t going to break the bank and those that have very sensitive skin can shop products that have been allergy tested so that they can find what they need without spending a small fortune. I personally don’t mind spending a lot of money on cosmetics, if they work, you’ve gotta have one vice in life right? But if I can find something thats just as effective, at a fraction of the price, then I am definitely a happy bunny. The first product that I tried out from Bell Cosmetics was their cruelty free and vegan friendly Matte and Smooth Makeup Base. This primer is light pink in colour and doesn’t look too dissimilar to a moisturising lotion when dispensed from the pump bottle. It has a light, smooth consistency and is fragrance free. I have been applying this to my skin daily before putting on the rest of my makeup and I must say that I was pleasantly surprised. It applies smoothly and is hydrating, softening and noticeably smoothing on the skin. It does mattify the skin but in a very natural way. I doesn’t leave my skin feeling dry or uncomfortable at all, for this reason, I think that this primer would be perfect for all skin types but especially for those with skin that is oily but dehydrated. After applying the primer, I do feel as though it enabled the products that I applied on top to apply more smoothly and I do think that it helped to increase their longevity. However the foundation in particular was long lasting itself, even without the primer. Base products are the hardest for more affordable brands to get right, in my opinion, especially those aimed at oily skin. 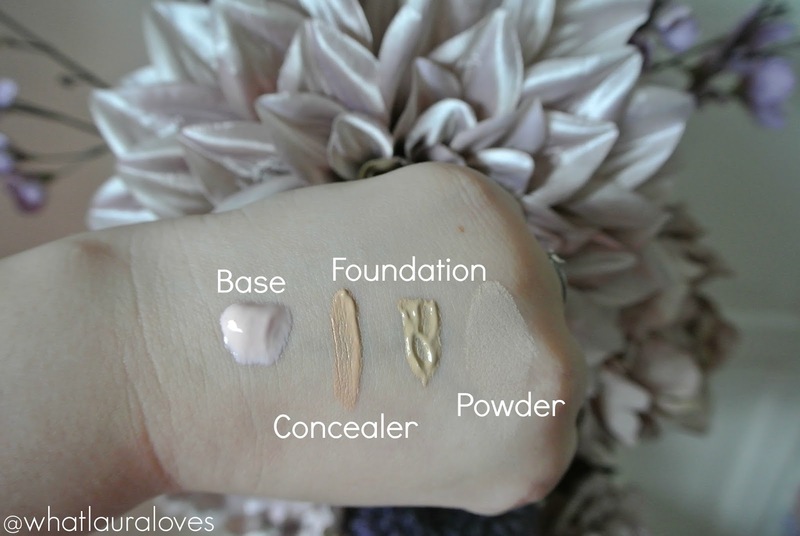 Many drugstore foundations that I’ve tried in the past don’t seem to stick around on my skin for too long so when I tried the Matte and Soft Makeup liquid foundation, I wasn’t expecting much. I’ve got to say that on first impressions, I am blown away by this foundation. I’ve worn it four times this week, on a very warm sunny day, to a hot evening event and for a couple of days where I’ve been out and about running errands all day, and I am very impressed with how well it has help up. I applied the foundation using a buffing brush and found that it blended effortlessly into my skin. It feels light weight and hydrating on the skin. Although it has a mattifying effect, it doesn’t make it look chalky or dry. Both the coverage and finish is very natural. This foundation allows your real skin to still be seen through it and it doesn’t mask everything. I love this as I prefer to add extra coverage to the areas that I need it rather than just blanking everything out. As I have just come back from my holiday, my skin is looking pretty uneven in colour as I have some parts of my face that are noticeably more tanned than others and the pigmentation in my cheeks is looking quite pink. 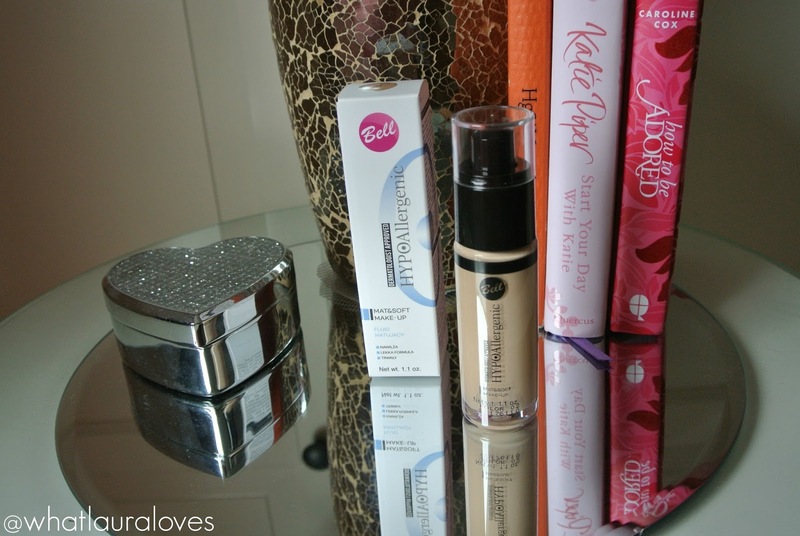 I found that this foundation did an impressive job at evening out my skintone while still allowing my skin to look sun kissed and a little flushed in the cheeks. Aside from applying very well and leaving a beautiful finish on the skin, this foundation lasted incredibly well on my skin and even after 6 hours of being out and about, my makeup still looked fresh and my oily areas were still under control. The foundation shade choice is pretty limited at 3 options, of which I have 02 Natural which is a very good match for my skin. I do hope they extend the shade range of this foundation as it is a very good product and my favourite of the bunch. 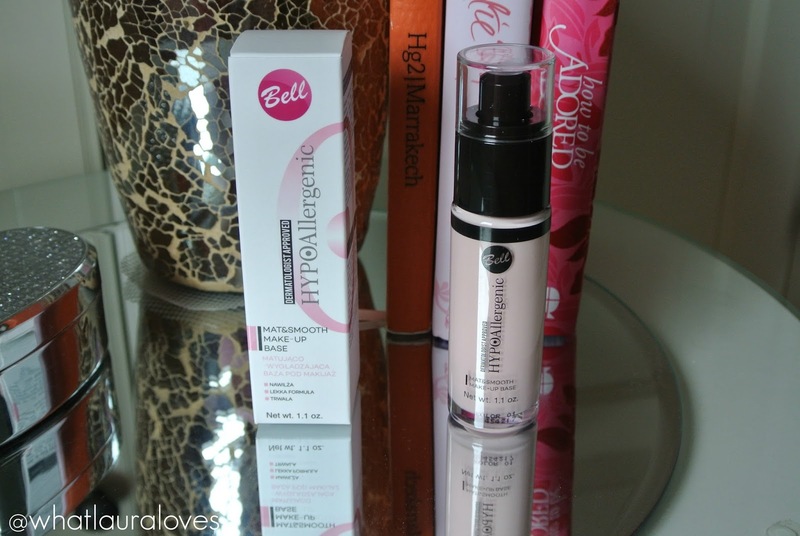 I have been using the Bell Hypoallergenic Liquid Eye Concealer on my blemishes and under eye circles. It has a doe foot applicator and comes in two shades, although I’m not sure which one I have as it isn’t noted anywhere on the packaging. This concealer does have a tendency to move the product around underneath itself, I do think then when applied correctly, it looks very smooth and natural. It doesn’t settle into fine lines at all which I love as this is something that I often suffer with around my eyes. The consistency feels like, creamy and hydrating. Although it appears well pigmented, the coverage isn’t very heavy so I find that super dark circles and red spots cannot be covered as well with it. 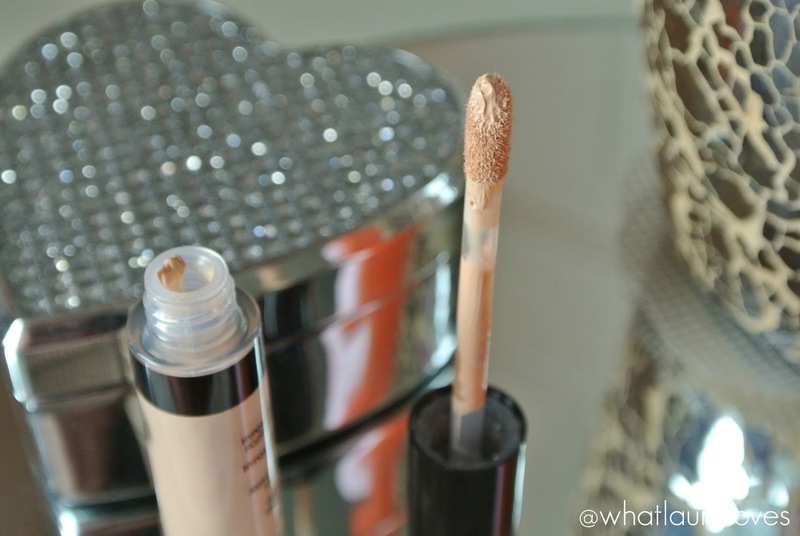 However for your average dark circles and spots, this concealer works well. To set my makeup, I have been using the fantastic Bell Hypoallergenic Matte Powder which comes in a compact with a handy mirror on the lid; perfect for on the go touch ups. Although I know it wont last, I really like the embossed design in the powder, its a nice touch! The Matte Powder is available in four different shades, of which I have No.2. It does come with a little applicator sponge which is great for using to blot the skin when out and about however I like to apply all of my powders with a brush when I’m at home. This method works equally well with this pressed powder. Like with the foundation, this powder has a natural effect on the skin, leaving it looking matte but healthy and not chalky or over done in the slightest. It does a really good job at absorbing excess shine from the skin and really keeps my makeup in place. 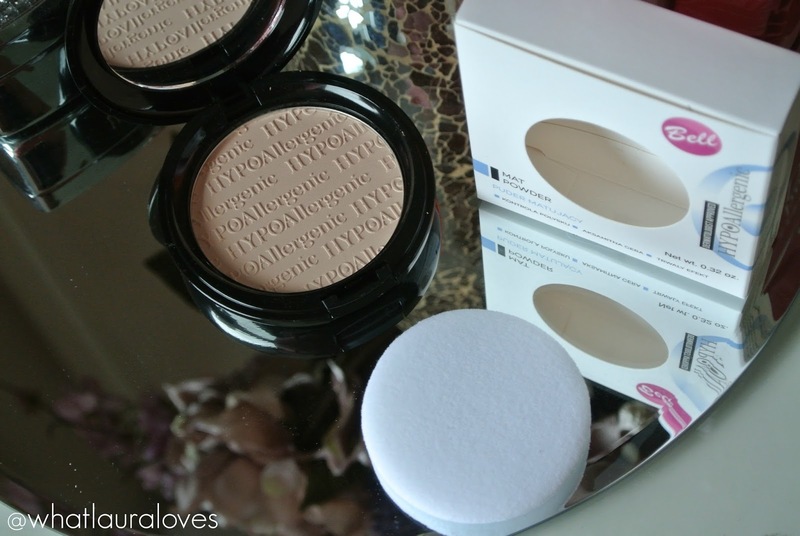 Other powder products such as bronzer and blush apply really well on top of this powder too. 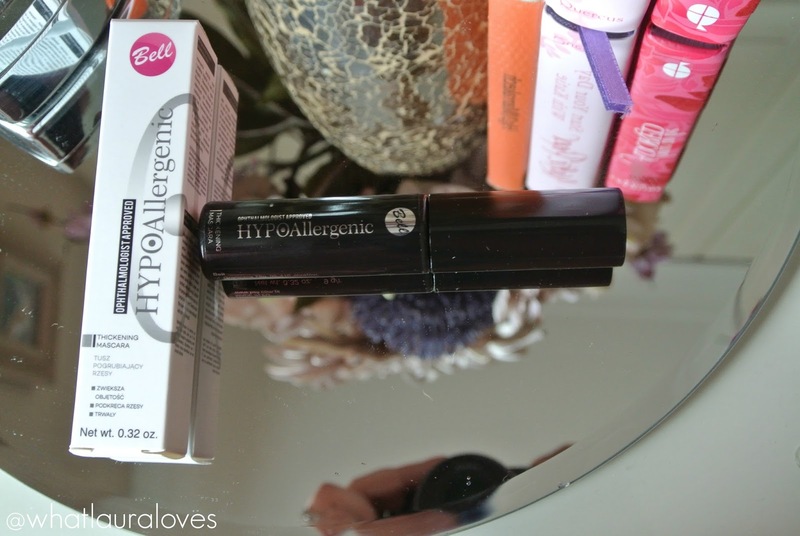 The last product that I have was given to try out was the Bell Hypoallergenic Thickening Mascara in black. This mascara aims to thicken, lengthen and enhance the volume of the lashes over their entire length. It comes in a wide tube that is easy to control and enables you to manoeuvre the wand to be able to reach even the shortest lashes. It contains nutrients like olive oil, beeswax, carnauba and panthenol which help to care and nourish the lashes. The wand has a bristle brush which is my preferred type of mascara brush. Having just got back from my holidays, I do still have some lash extensions on my upper eyelashes so I haven’t had the chance to properly test the mascara out on those yet so I’ll have to come back to you all on that one. However I have been using this mascara on my bottom lashes and loving the results. 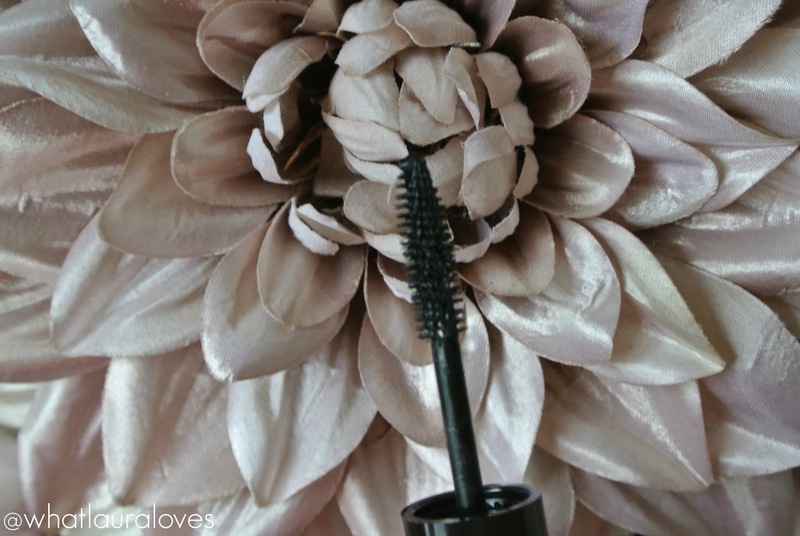 It takes some building up as the formula feels quite wet but this mascara does a great job of lengthening, defining and lightly volumising my lashes without making them clumpy or spider like. The brush really helps to separate my lashes and define them. The inclusion of these ingredients within the formula is evident as when this mascara is applied to the lashes, when has set, it doesn’t leave them feeling dry, crispy or uncomfortable. 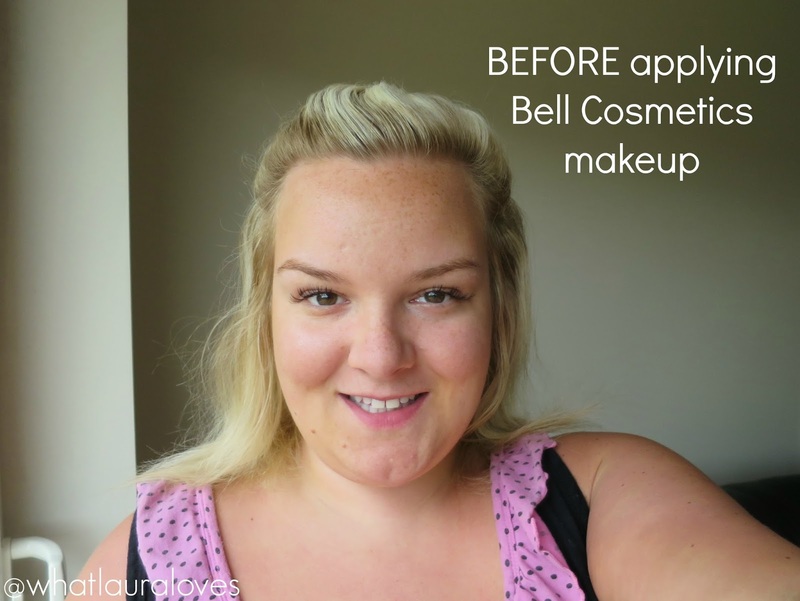 Here are the before and after photos of me having applied the Bell Cosmetics makeup to my face. Clearly I’m so happy with the finished result! I’m really pleased that I got to try out some products from this line and would definitely feel confident in purchasing from them in the future. They are very affordably priced for such high performing products, especially the foundation, and the quality is superb. This was my first experience of Beauty Crowd and after looking through the website, I’m really impressed. Could this be my new go-to multi-brand retailer? They stock over 50 different beauty brands, some of which are more difficult to buy in the UK, including L.A. Girl, Milani Cosmetics, Jordana Cosmetics and Little Ondine, all at affordable prices. When I was in America last May, I bought a couple of the Baked Blushes from Milani Cosmetics, Delezioso Pink and Rose D’oro. The latter of which I have fallen in love with. They’re both gorgeous but the Rose D’oro shade is so stunning and while I don’t usually get that passionate about blush, being a fickle person that wants to try EVERYTHING, I have been concerned that I wouldn’t be able to repurchase it over here when I run out. Needless to say, when I found it on Beauty Crowd, I was over the moon! I really think that this website is something that the UK have been missing. We’ve got lots of websites that sell higher end products and those that are available internationally but when it comes to items that are available pretty affordably in other countries, we’re usually charged through the roof for them but with Beauty Crowd, I really think we’re getting a good deal; its an opportunity to try out something new at the very least. Plus if you spend over £20 on items that are shipped from them, then you’ll get UK standard delivery for free. Beauty Crowd was founded in 2014 by Neil Philips and Jo Westlake who have a career in the beauty industry that spans 20 years so they really know their stuff. The great news about Beauty Crowd is that they gather real-time feedback of what potential customers would like to see on their site and they use both blogger and customer reviews to give an unbiased review of the products that are currently available to purchase on the site. So not only can you get honest advice on the existing product range but you can also suggest brands and products that you are lusting after too. Let them know what you’d like to see on Twitter @BeautyCrowd who knows, the brand you’re currently coveting might make an appearance on there! 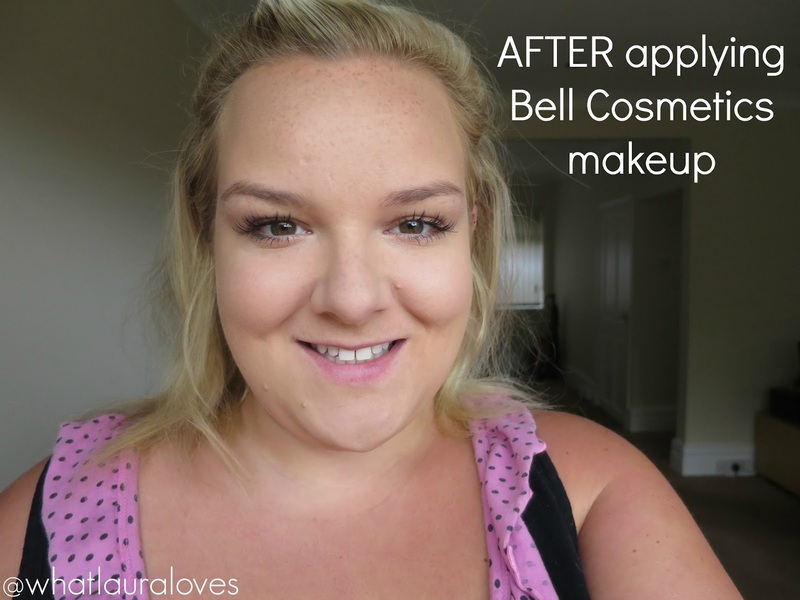 The Bell Cosmetics line is available from Beauty Crowd here, with prices starting at £3.50 and the most expensive product retailing at £8.95. it's available throughout Europe; Bell is based in Poland. Bell is available throughout Europe; Bell cosmetics is based in Poland; Beautycrowd.com is the only place you can purchase it in the UK! 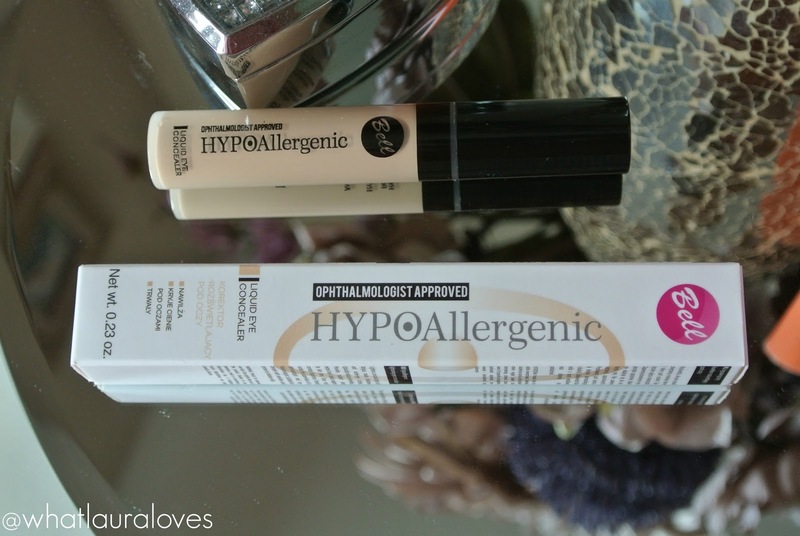 Good to find out about an affordable hypoallergenic brand and it being Polish makes it seem quite exotic.